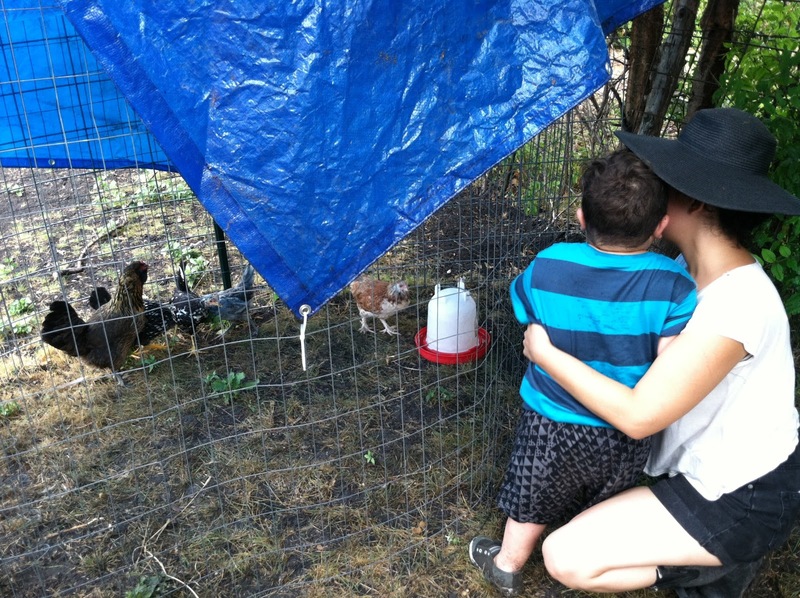 Today we added five new chooks to the Jacob's Reward flock - courtesy of our friend Mia, her son Levi, and friend Cassandra. 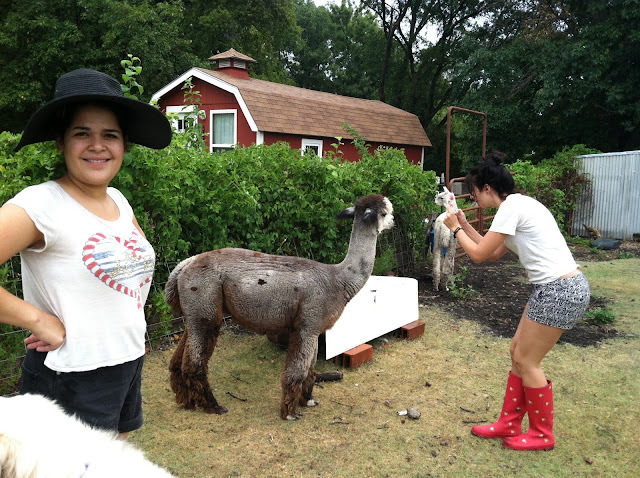 Cassandra had never been to the farm before, so she made herself at home and introduced herself to the menagerie while we installed the new girls. It's an interesting group - very cool breeds including a Blue Andalusian, an Araucana, a Salmon Faverolle, and two black and white ones that I can't even remember. Flashy, no? Their names are Lupita, Annie, Elizabeth, Marilyn and Ginger, but I'm still working on which one is which. I'll get better pictures when they settle down a little. Little Levi was sad to leave his friends here in our care, but the City of Carrollton made it impossible for these ladies to keep living at Mia's house. She's going to be working on getting the ordinances changed, so watch out C-town, the Chickens Are Organizing. 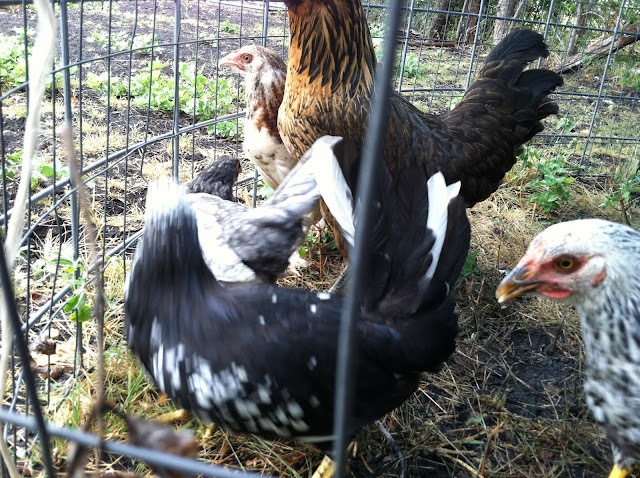 These new ladies are in some wacky temporary digs until we can get a proper coop set up for them. Next time you're at the farm, come say hi! They're really pretty! For best results, we'll incorporate them into the larger flock a little at a time, as usual.